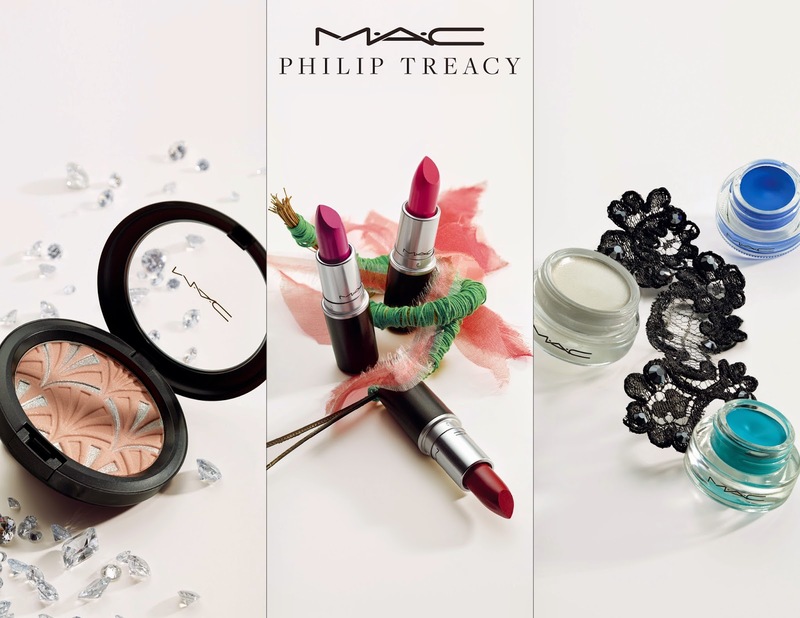 MAC's Philip Treacy collection features just 3 key groups of products. 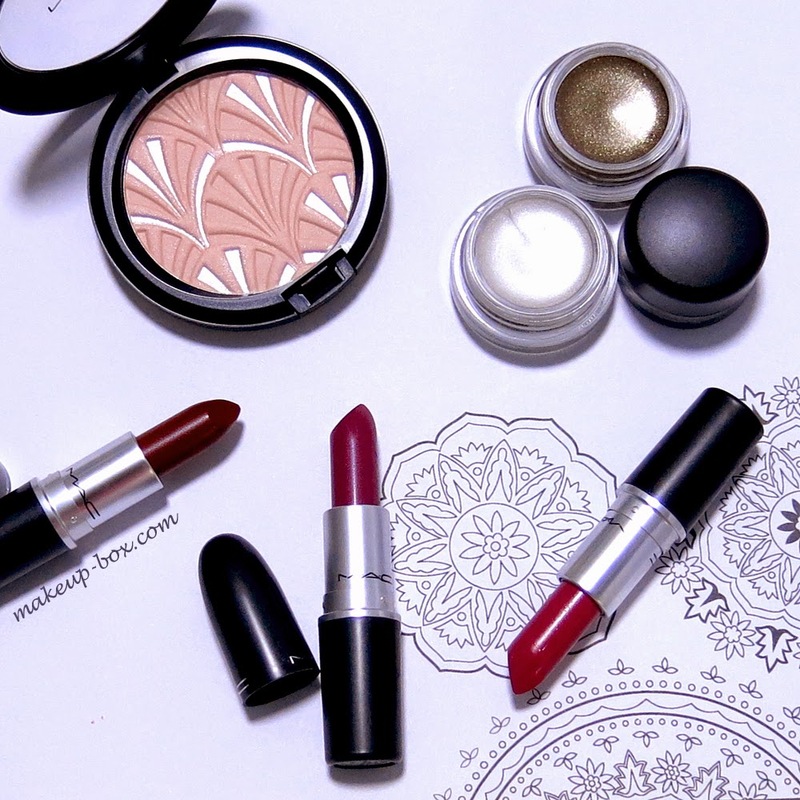 A blush colored high-light powder, 3 deep, rich lipsticks and ultra bright cream eye colors. 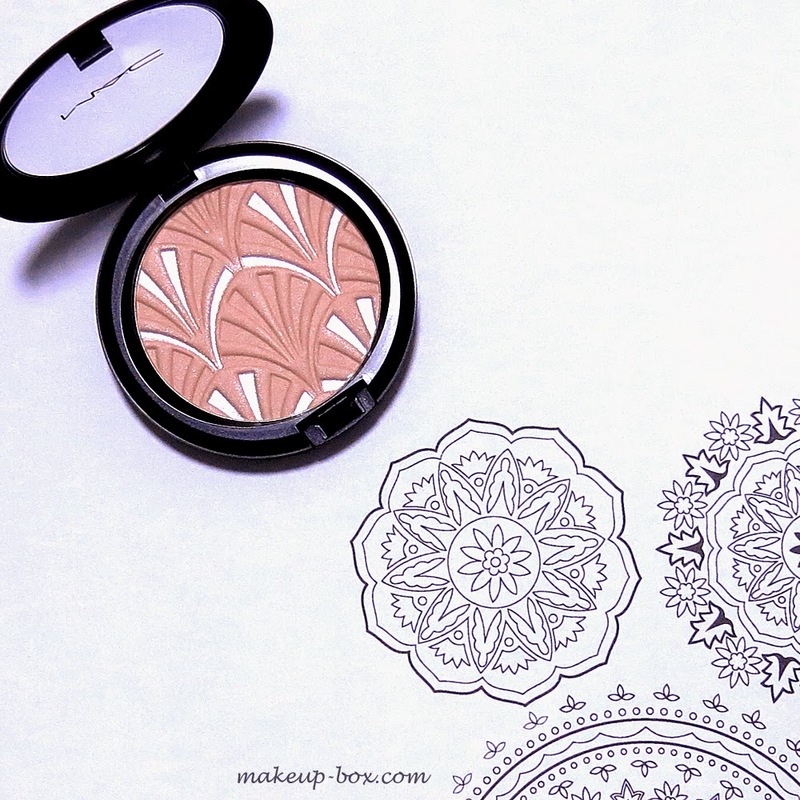 But I know everyone goes ga-ga over the blush-pink High-light Powder (SGD$53) first. I did as well. 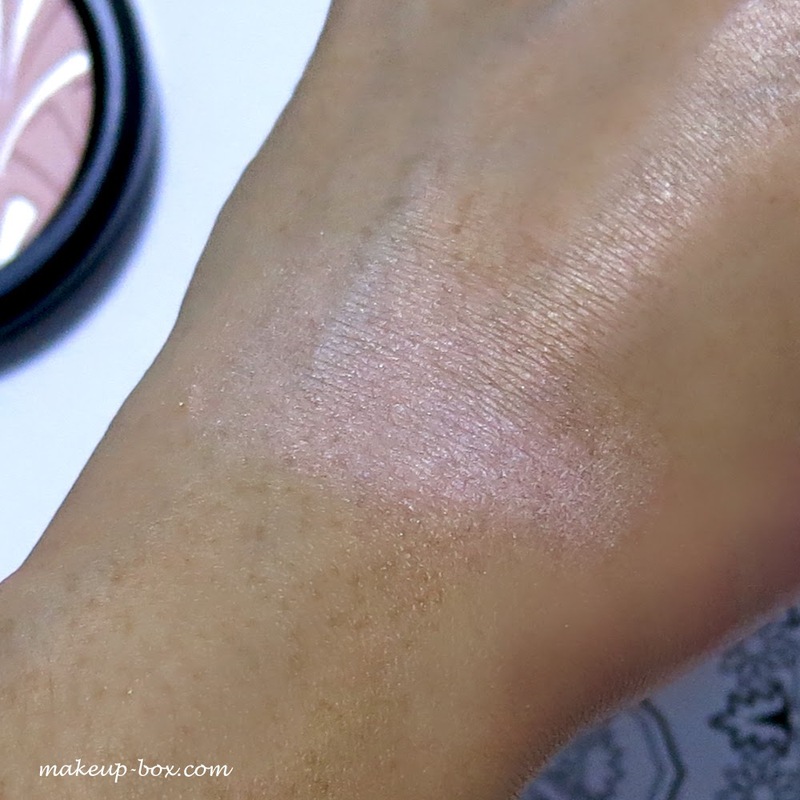 This is an ultra-fine matte highlight powder in a soft lingerie pink. The texture is not pearlescent or noticeably sparkly, so you get a velvety glow with tiny specks of silver. The metallic over-spray on the top goes away after the first use. 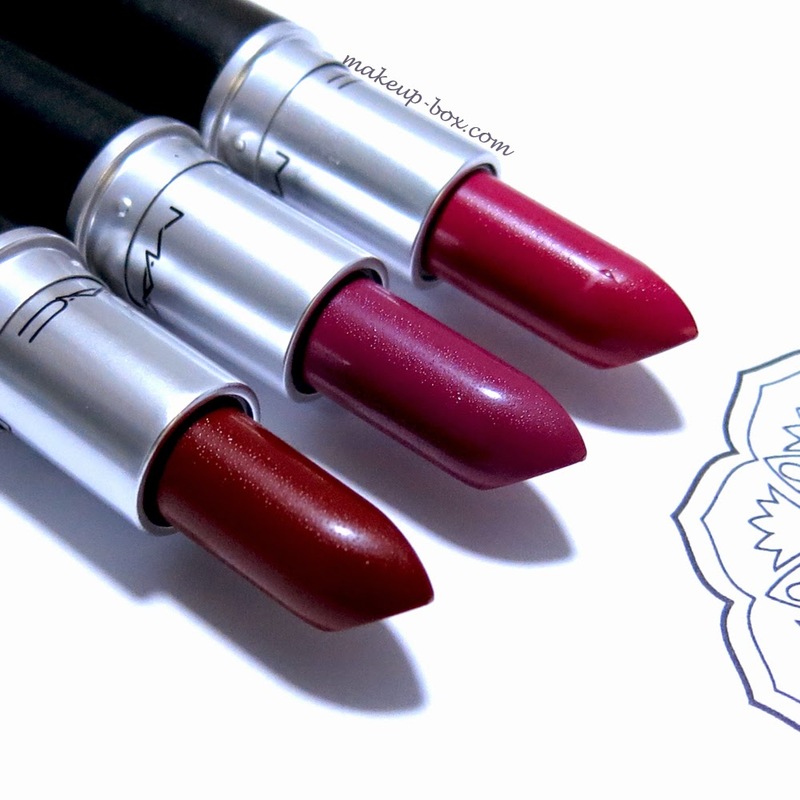 But I'll say my favorite products in the collection are the 3 lipsticks ($30)! 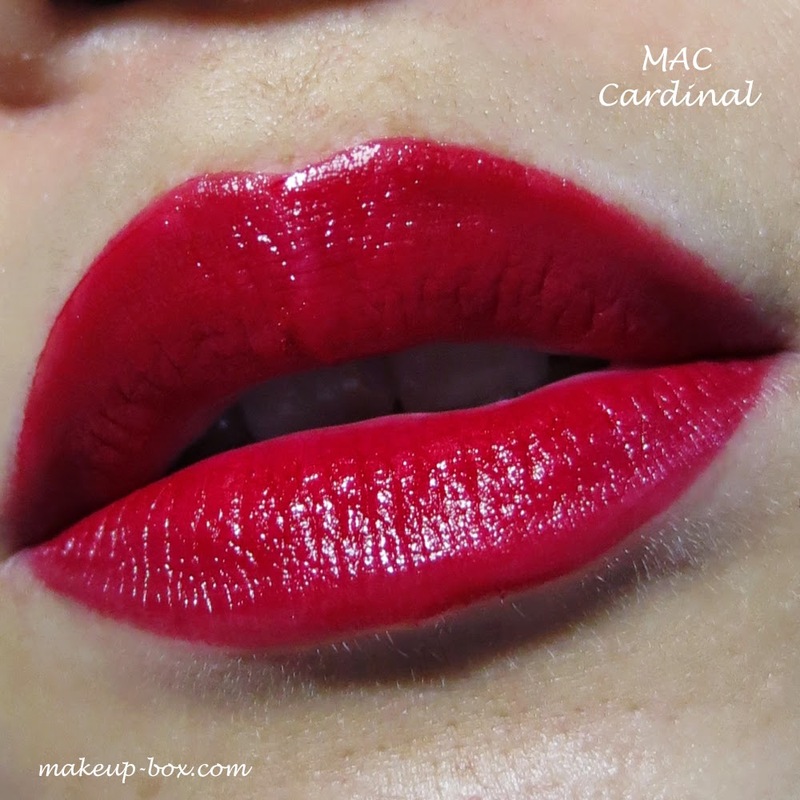 Most of the collections so far in 2015 (with the exception of the Red, Red, Red and Cinderella) have included fantastically intense lipsticks, and this collection is no different. 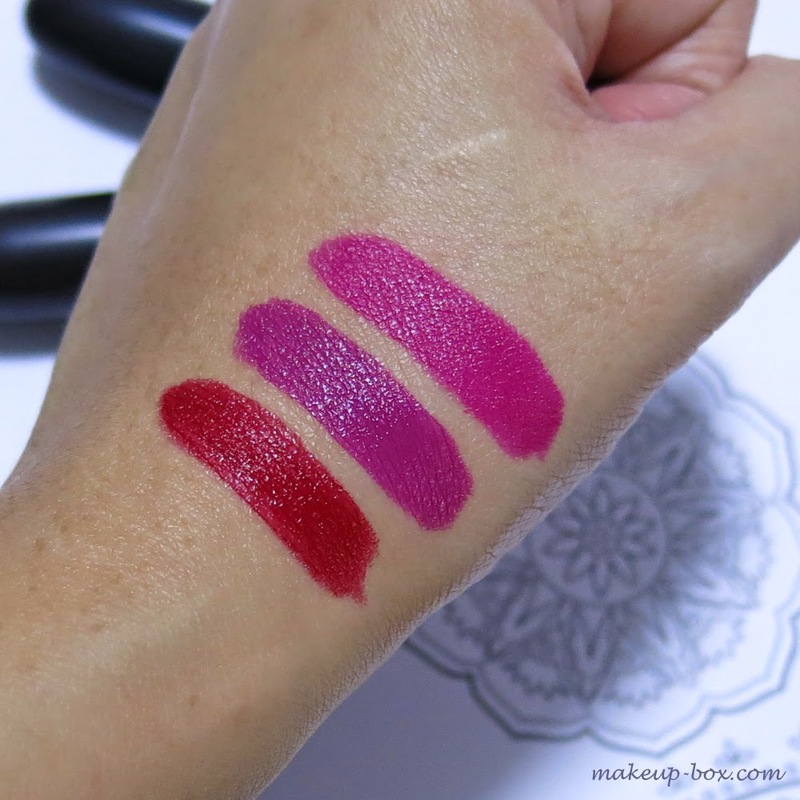 The pigmentation of these lipsticks are dense, rich, and the textures are ultra smooth. These are all flattering rich shades that will brighten your face and teeth, and look great on most skin tones. 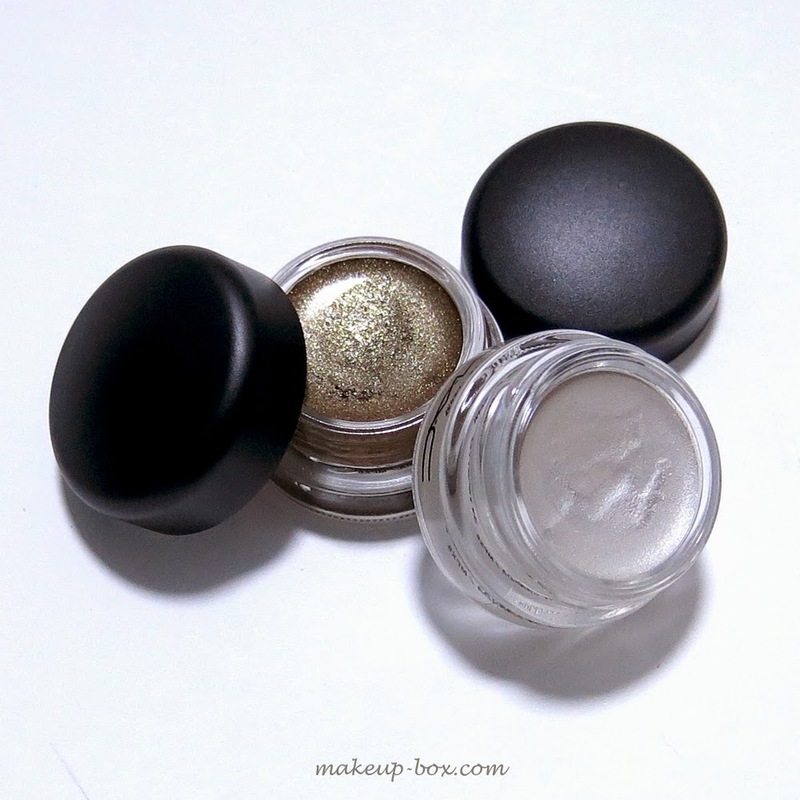 I didn't swatch the Fluidline gel liners ($30) because they're standard MAC colors (black, cobalt, and teal). I personally prefer Chrome Angel simply because of the texture and performance, even though I'd been more excited about Genuine Treasure in the beginning. It's just not the sort of texture that will apply evenly without a lot of effort, and it also doesn't work that well as a base under other shades because of the sparkles. I never understood the glittery Paint Pots because they've typically never looked good. In this case I think Maybelline Bad To The Bronze would be similar but better (and cheaper) actually. But ultimately the 2 Paint Pots would not be where I'd suggest you put your money in the collection. Check out the other products! Aside from the makeup, there is also a split-sided 127 face brush ($62) and a set of Extreme Black false lashes ($37) which will be available with this collection, but which are not pictured here. This is quite a small capsule collection compared to some of the other ones that have launched this year, but well worth a look. The Philip Treacy collection launches 1 April at Tangs, Sephora ION, Robinsons Heeren, and Ngee Ann City counters. 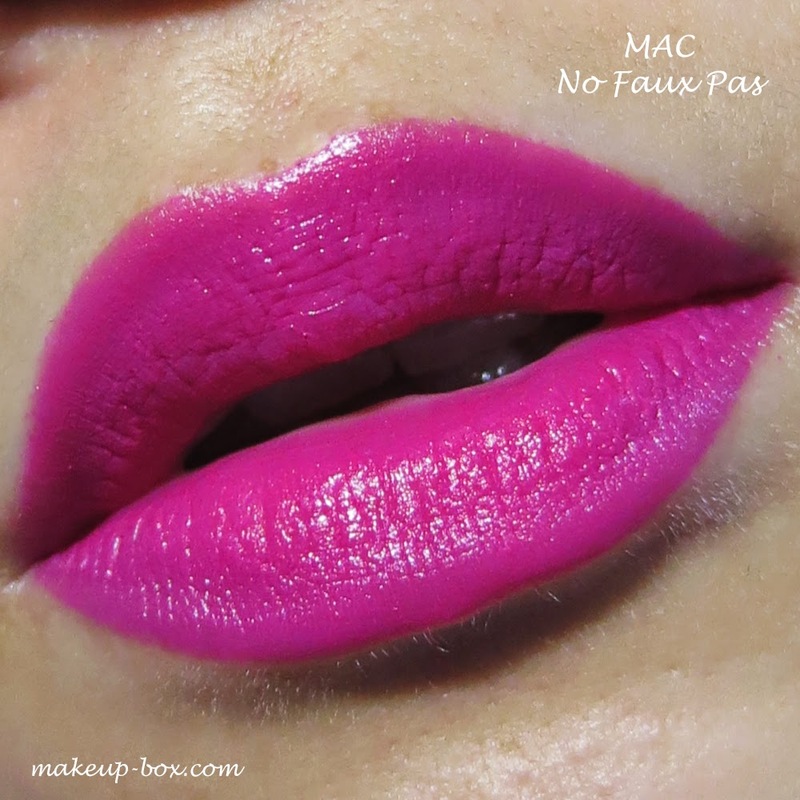 can i ask if the no faux pas is the same as the LE collection last year in Nov? 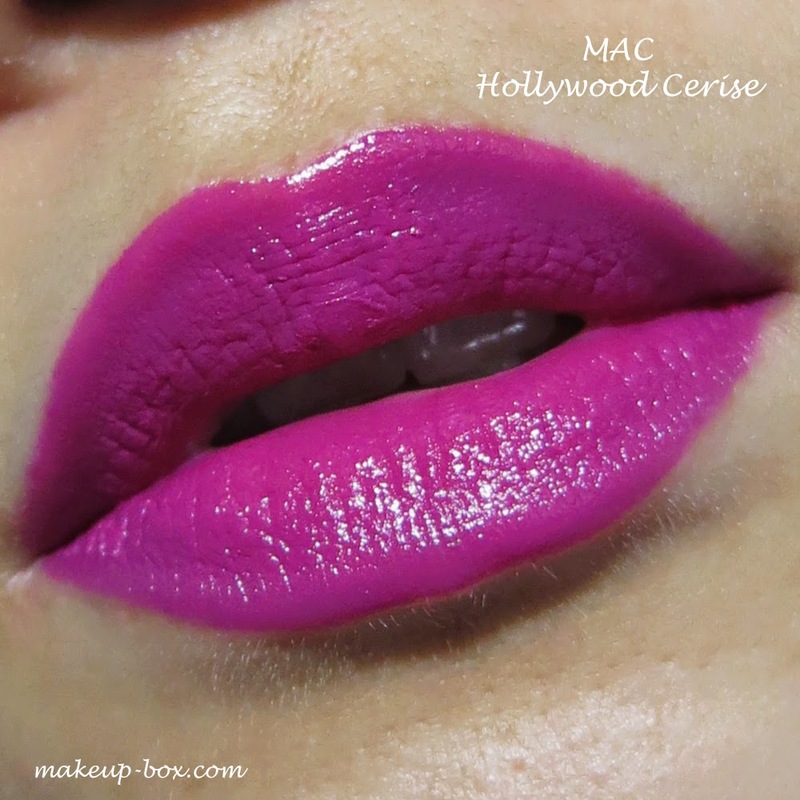 Yes as far as I can tell it's the exact same matte hot pink! good as a result download Casper SnapChat 9.24.0.0 APK for Google android official website You're great close friends from within the app. Casper for Snapchat App great. good to download and install xender for laptop or computer, i found it here like Android, IOS and Windows Phone. By using nice. good certainly not safe and sound more than enough to transporting the data. Xender APK while copying the data files.But today these will be outdated shares nice. GReat Download and install Wallpaper, Application, Gaming vShare Android Scroll down alert panel, you could see the downloaded Fine. First method is by jailbreaking, and also another method lacks Kodi for iPad and install Kodi for apple iphone without jailbreaking.